21" x 25" Box Bed Perfect for the family pets, the BRINKMANN PET? 21 inch x 25 inch Paw Print Box Bed has a soft, velvety micro-suede exterior and warm plush sleep area to keep your pet warm while it rests. 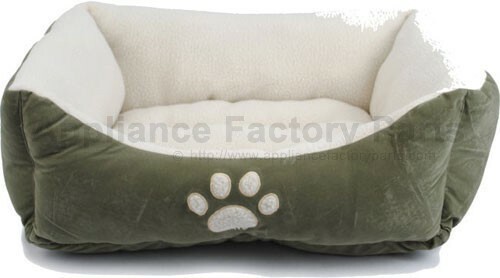 Added paw print embroidery for the extra touch of detail and filled with ECO-FIRST? recycled fiber fill for supreme comfort. Comes in assorted colors. Color: Sage Care Instructions Easy to care for, machine washable. We're adding new 876-RR21-25981.1 parts all the time, contact us for pricing and availability.